The True Cut Rotary Line has expanded to include the new My Comfort Cutters. These ergonomic cutters feature a unique handle design that aligns your wrist naturally, placing all cutting power directly over the blade and eliminating stress in the wrist and arm. Each My Comfort Cutter features a customizable handle insert. The My Comfort Cutter features the TrueCut Cutter Guide that works with our ruler track to give you superior precision and accuracy. The My Comfort Cutter prevents stress in your wrist, neck, arm and shoulders thanks to its ergonomic Comfort Curve Grip. 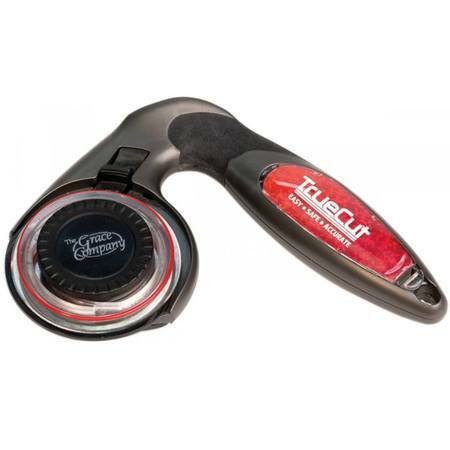 It provides you with more cutting power with less effort by placing all cutting power directly over the blade.